Ever since October of 2005 when Capcom released the first Ace Attorney game in the United States, I have been addicted to this wonderful series of deduction based adventure games. In that first game, players were put into the role of Phoenix Wright a wet behind the ears defense attorney who defended the innocent against an overzealous and often corrupt criminal justice system. The games were a combination of good storytelling and appropriately challenging logic puzzles. Players are expected to keep track of clues as they listen to their clients and do their own investigations of crime scenes during a trial. Two game elements exist which add tension to the game play. First, the trials themselves only last three days. If you haven't proven your client innocent and found the real culprit within three days, then your client is automatically found guilty. Second, you can only make three mistakes in logic during the examination and cross-examination before your client is found guilty due to your own incompetence. There are no appeals in the criminal justice system of the Ace Attorney series, so the stakes are high. In addition to being highly entertaining adventure games in the mold of classics like Secret of Monkey Island and Maniac Mansion, these games fall into the noble genre of deduction games. Exceptional non-video game entries that fall into this genre include Sherlock Holmes Consulting Detective, 221B Baker Street (one of my wife's all time favorite games), Scotland Yard, Fury of Dracula, and Gumshoe. The board games differ in the amount of narrative content, but they all require players to use deductive skills in order to win the games. These games also vary in the amount that luck can play to aid the players, in the boardgames luck sometimes can give certain players more clues (or more important clues) than the other players possess. This is one of the drawbacks that board games in the deductive genre can fall into. Thankfully, the Nintendo DS based Ace Attorney series doesn't suffer from this flaw. As a video games, the clues and their location are concealed by the magic of code and must be actively discovered by the person/people playing the game. The Ace Attorney game also requires the player to walk through all the steps of the logical process and the articulation of any logical proof. Even if you know the answer and have figured out the mystery, you must still walk step by step through the logical analysis in order to win the game. I think this is where the Ace Attorney games become more than just games, but valuable learning tools as well. While the information in the individual mysteries will never come into use in daily life, the critical skills developed by investigating the mysteries will. 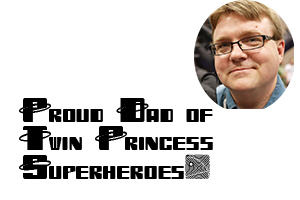 Given that the mysteries carefully balance learning with challenge, players don't tend to get frustrated that they cannot solve the mysteries. The first episode of each game is typically fairly easy to solve, but by the time you get to the final mystery things get quite challenging. 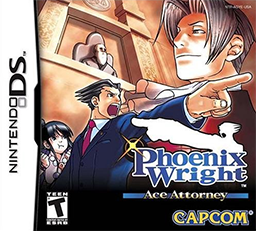 In the newest entry into the Ace Attorney series, which comes available on February 16, 2010, the players leave the court room for the crime scene as they take the role of Phoenix Wright's oft-time rival Miles Edgeworth. 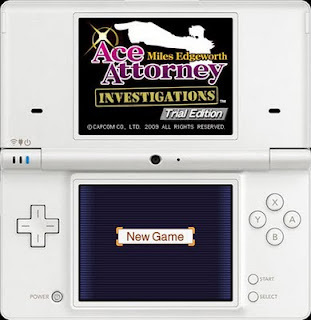 Instead of investigating previously examined crime scenes, as in the prior entries in the series, as Miles Edgeworth the players will be asked to start the investigation at the crime scene to find the clues which will be brought out in trial. A prosecutor friend of mine once told me how Perry Mason influenced his desire to become an attorney and eventually a prosecutor. Perry Mason's ability to find out who the real culprit behind the murders on the TV show gave my friend the impression that attorneys where real life superheroes. They defended the innocent and made sure that the guilty were punished. At some point my friend came to the realization that prosecutors were the real Perry Masons of the world, they were the ones defending victims and prosecuting the perpetrators far more frequently than defense attorneys. Now the Ace Attorney series is walking down a similar path. The players have played defense attorneys fighting against an over zealous and sometimes corrupt Prosecutor's office. Now it is time for the players to take on the role of the most noble member of that office and bring justice to those who thought they could get away with murder. I'm excited about the prospect and am grateful that Capcom has released a playable demo of the game, which can be played at the Gamespot website. Though all you have to do to play it is click on the image below.